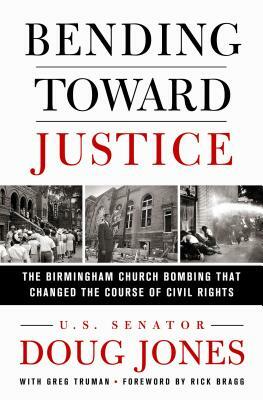 The story of the decades-long fight to bring justice to the victims of the 16th Street Baptist Church bombing, culminating in Sen. Doug Jones' prosecution of the last living bombers. But as Martin Luther King, Jr. famously expressed it, "the arc of the moral universe is long, but it bends toward justice." Years later, Alabama Attorney General William Baxley reopened the case, ultimately convicting one of the bombers in 1977. Another suspect passed away in 1994, and US Attorney Doug Jones tried and convicted the final two in 2001 and 2002, representing the correction of an outrageous miscarriage of justice nearly forty years in the making. Jones himself went on to win election as Alabama’s first Democratic Senator since 1992 in a dramatic race against Republican challenger Roy Moore. DOUG JONES is a US Senator who has made finding common ground a hallmark of his tenure. In 2017, he became the first Democrat to win a Senate election in Alabama since 1992. As U.S. Attorney for the Northern District of Alabama from 1997 to 2001, JONES prosecuted two former Ku Klux Klan members for their roles in the racially-motivated 1963 16th Street Baptist Church Bombing that took the lives of four girls. He also secured an indictment against Centennial Olympic Park bomber Eric Rudolph. “For 40 years, justice had gone undone in the brutal murder of four young girls in the Sixteenth Street Baptist Church. Forty years of pain and hurt for the families of those young girls and their community. Forty years of the Klan laughing at justice, getting away with the act of a coward.